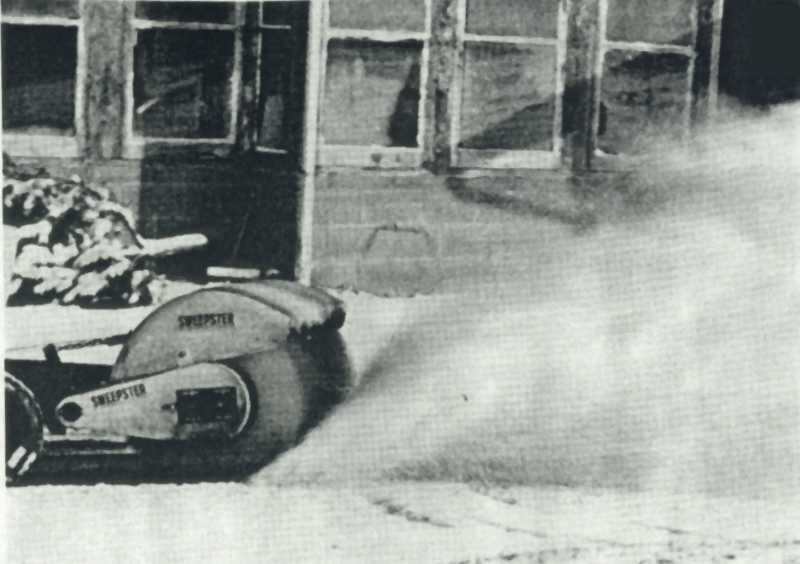 Model C-48, The All-Season "Snow Thrower"
It's a Snow Thrower . 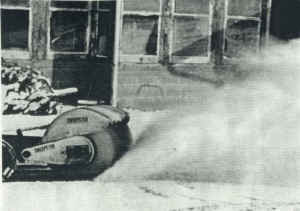 . . Sweepster C-48 throws more snow than a snow thrower. Clears up to 8" of snow and leaves a clean, dry surface. Fast, safe, efficient snow removal is easy with Sweepster. It's a Lawn Thatcher . 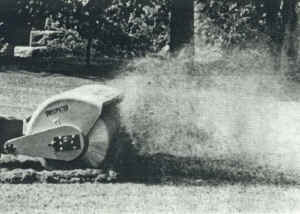 . . Why buy a thatch machine when Sweepster will do the job-and do it just as good. 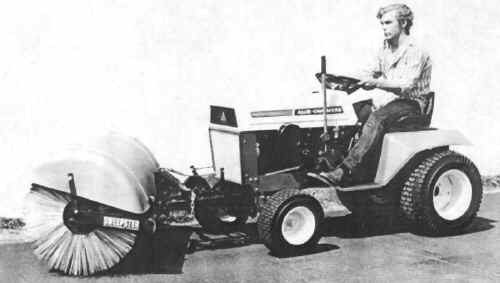 The brisk action of the Sweepster brush bristles digs out thatch, leaves it in neat windrows. It's a Leaf Sweeper . . . Leaf sweeping's a breeze with Sweepster. The rotary brush also windrows twigs, stones and thatch. Cover acres of lawn in a fraction of the time it would toke you by hand raking. When ordinary snow throwers sit rusting in a shed, the SWEEPSTER power broom/snow thrower is thatching a lawn or sweeping leaves. Exclusive "double-spring" suspension of the brush frame and a tough but lightweight fiberglass hood allow you to sweep grass areas in all seasons. SWEEPSTER power broom/lawn thatcher throws more snow than a snow thrower. Sweeps 8" of wet snow. The vigorous action of the brush bristles cleans right down to bare pavement. No skim of snow left to thaw and refreeze. Brush is set at a full 30° angle to allow efficient operation in heaviest snow conditions.